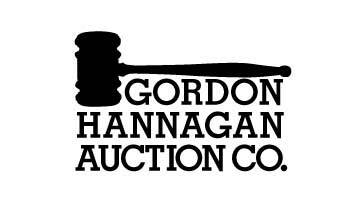 "These guys are the Best in the state..
Gordon Hannagan Auction Company has the experience, attention to detail and expert marketing capabilities in order to make your sale a success. Along with their competitive commission rates, they are committed to getting the top dollar for your land, farm, estate & specialty sales. Based in an agricultural community, we are familiar with all of the ins and outs of farming and land values. Together, our farming background along with our experience with estates makes us your top choice for selling your prized belongings. Our highly trained in-house staff works to effectively market your sale pre-auction in order achieve top market prices. When you sell with us we treat you like family because we are family. Gordon Hannagan Auction Company proudly serves central Illinois from its location in Gifford, Illinois at Gordyville USA. We host live auctions, live auctions with online bidding, and online only auctions--if you are considering an auction please contact us today!